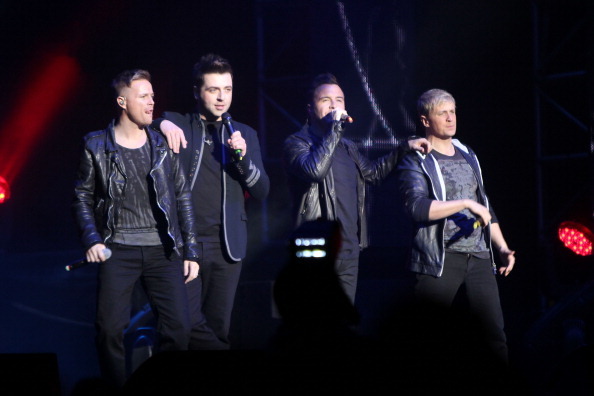 Westlife star Kian Egan says celebrating Christmas as a dad would be the best present ever. Kian Egan and his wife Jodi Albert are expecting a baby on January 1, but theUptown Girl singer has admitted that he would be delighted if their new arrival is a few days early. Speaking to The Irish Daily Star newspaper Egan said: "A Christmas baby would be amazing! It would be such a beautiful present." He added: "But then it would miss out on having a separate birthday celebration, so it would be a bit unfair." The Sligo-born star revealed that he and Jodie just can't wait to become parents saying "We're so excited. We don't have a clue what we're having, as neither of us wanted to know." He added: "We're running around baby shops picking up cute clothing. I bought four or five outfits for boys and girls to cover all bases."